Litigation | Chicago Immigration Lawyer | Bankruptcy Attorney | Personal Injury Law Firm | Ebere N. Ekechukwu & Associates, P.C. The Law Office of EBERE N. EKECHUKWU & ASSOCIATES, P.C. represents individuals in removal or formerly, deportation proceedings, including aggressively defending clients, requests for waivers, requests for stay of removal and appeals. Any and all immigrants, including lawful permanent residents, may be deported from the U.S. and returned to their countries of origin if they fail to obey and abide by U. S. laws and rules or commit criminal offences. The Law Office of EBERE N. EKECHUKWU & ASSOCIATES, P.C. 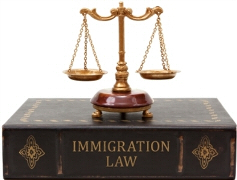 represents individuals and businesses before the Federal Courts for immigration related actions such as petitions for review, petitions for mandamus proceedings and every petition normally brought before the Federal Courts. The Law Offices of EBERE N. EKECHUKWU & ASSOCIATES, P.C. 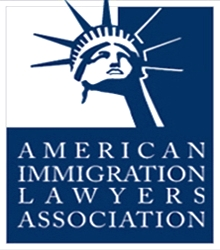 represents individuals and businesses in appeals as well as in motions to reopen or reconsider before the Circuit Courts of Appeals, Board of Immigration Appeals and other Administrative Appeals Agencies when their applications or petitions are denied by the USCIS, Department of Labor and denials by the Immigration Judge in removal proceedings. Contact the Law Office of EBERE N. EKECHUKWU & ASSOCIATES, P.C. today at (312) 362-9844 and we will explain the law, rules, procedures and all your options to you and assist you in putting together the necessary paperwork and filing the appeal, motion, or complaint and represent before the immigration court federal court or the administrative agency.